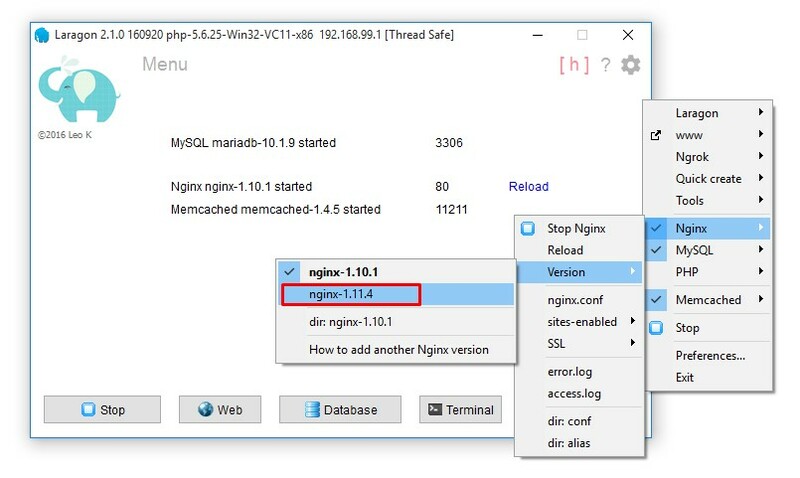 @skintillion : You must have added some users to MySQL I hate the mysql.plugin which makes MariaDB is not compitable with MySQL. If you don't use JSON type column and in case you want to try MariaDB, just dump your databases and restore to MariaDB. 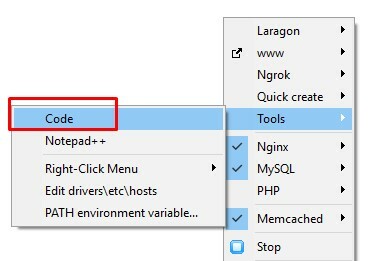 With Laragon 2.1.0, you can use your favourite editor with Laragon and add it to the Right-Click Menu for quick access. 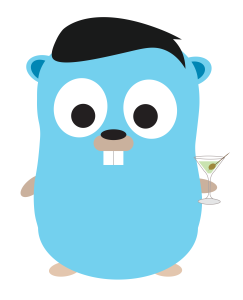 In this article, we will add VS Code. Note: You must run Laragon as Administrator to do that. 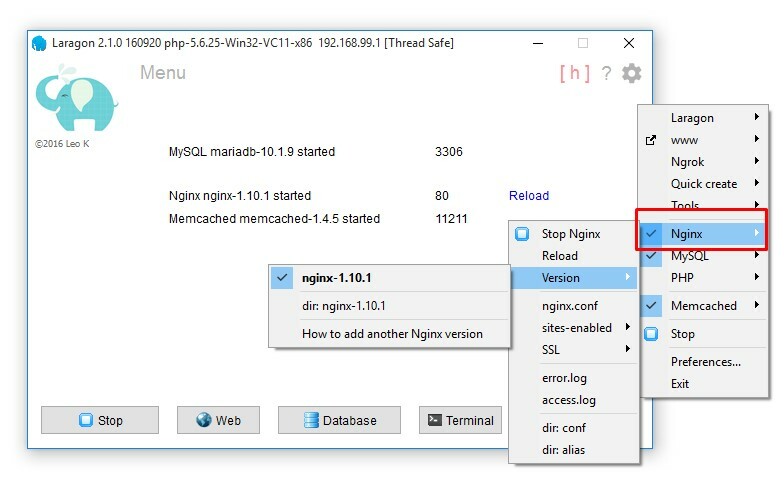 With Laragon 2.1.0, adding another Nginx version is very easy. You can install it to another folder, tested performance first then switch to.